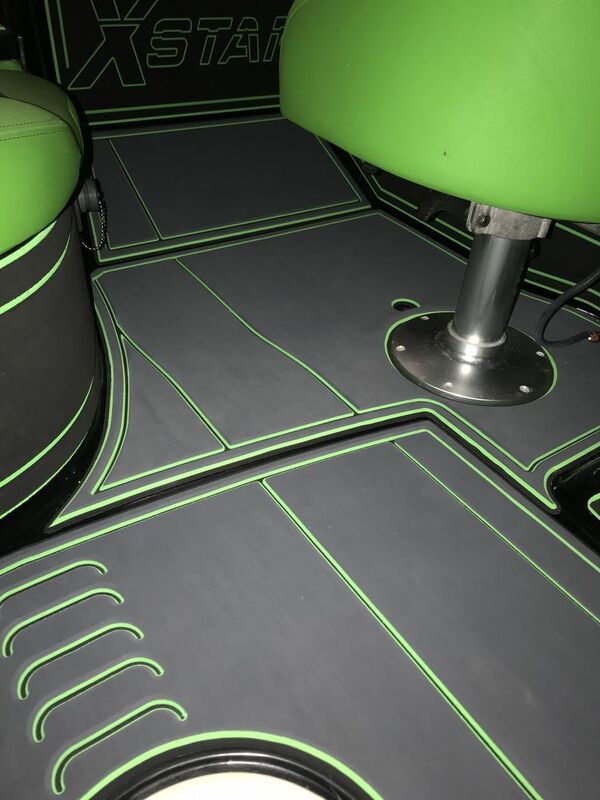 We recently completed stage 1 of our Project XStar. 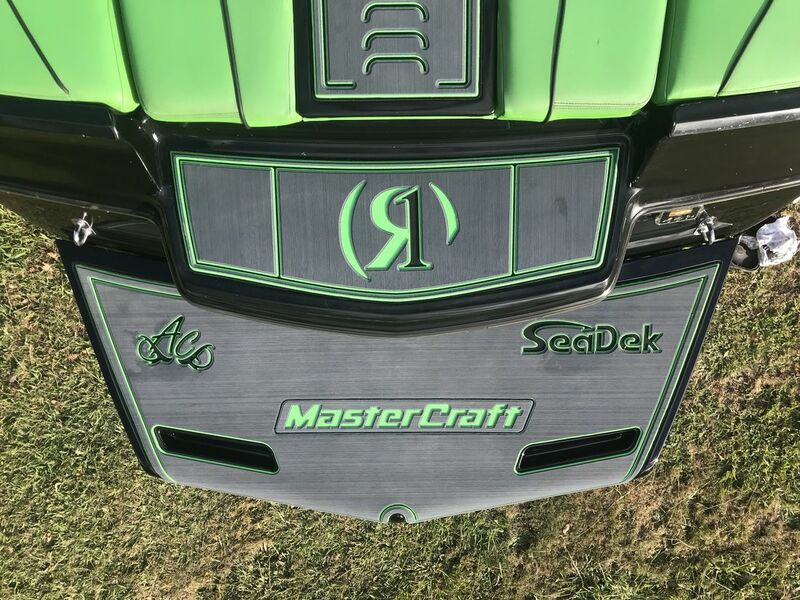 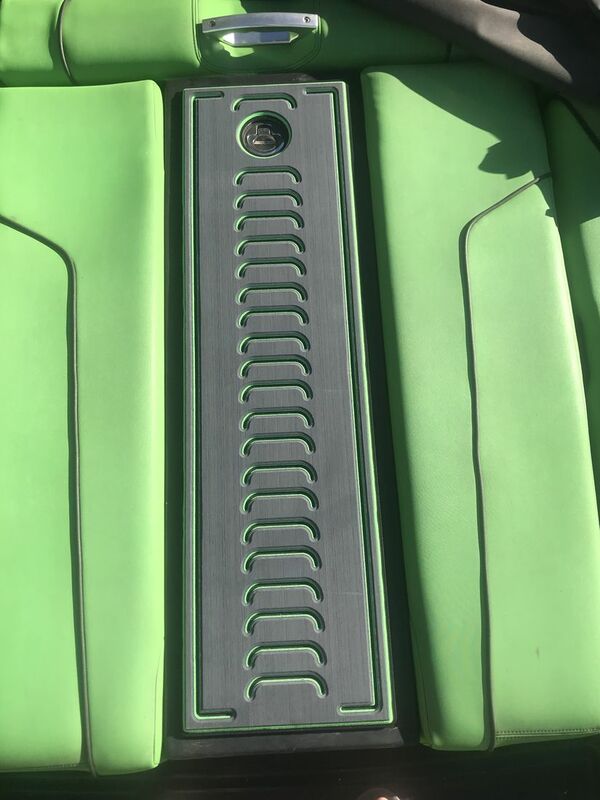 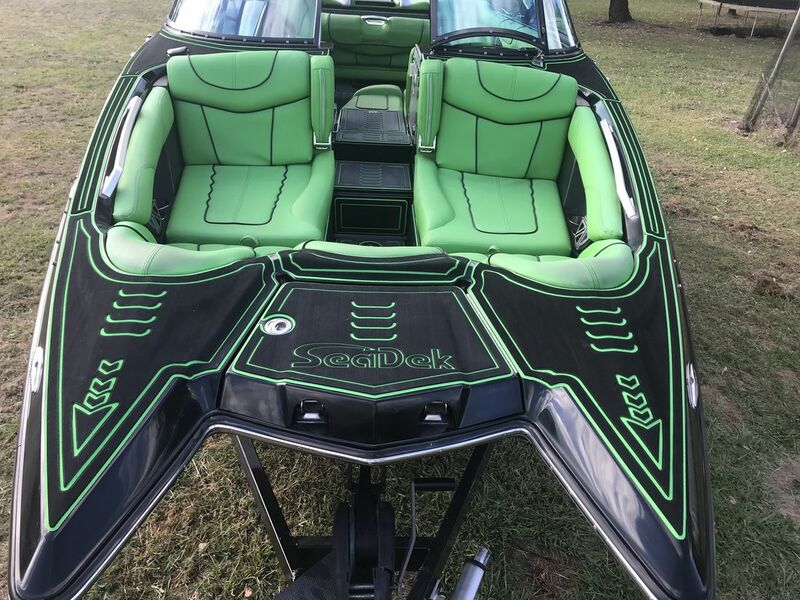 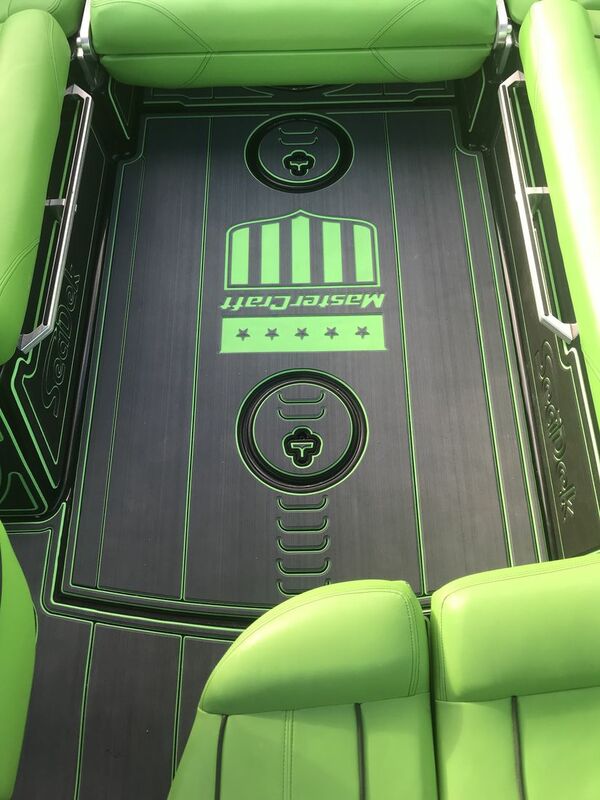 We took a 2013 Mastercraft XStar that was previously used in the USA & Australia Pro Tour Wakeboarding events and gave it a complete makeover with Genuine SeaDek. 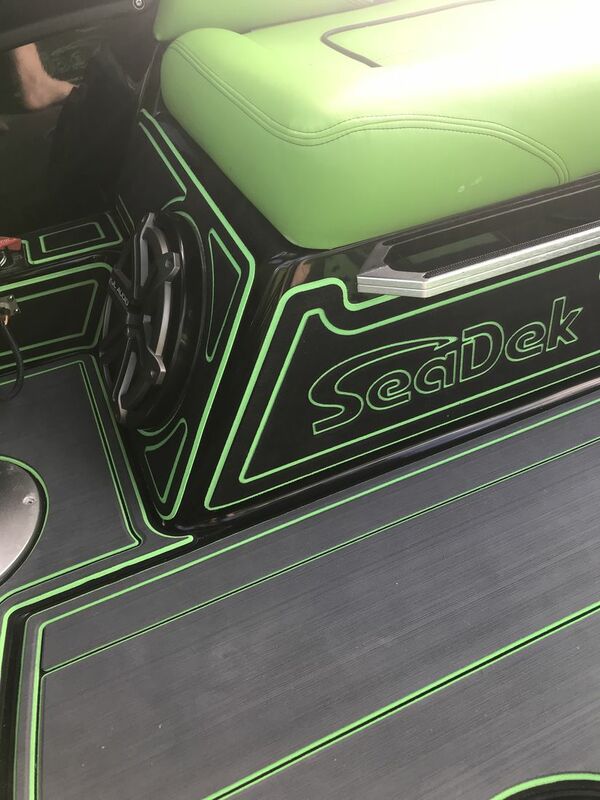 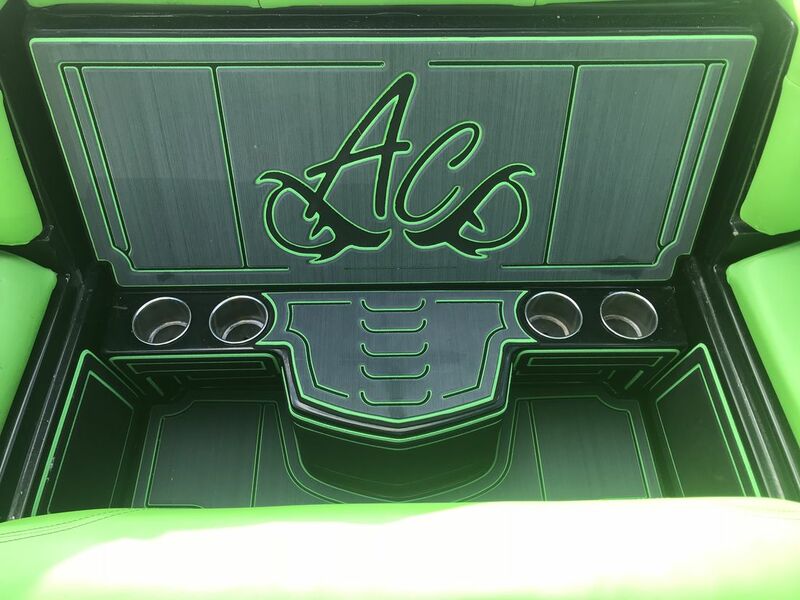 We used 6mm Brushed Black over Island Green on all of the bow, Gunnels and seat bases, and all of the Swim Platform, walkovers & main floor was done in Brushed 9mm Triple layer Dark Grey over Island Green over Black to really make these areas pop.